Our December 2017 Artifact of the Month is one of the earliest mass-produced 8-spoke head harness, the Victor Sporting Goods No. 539. 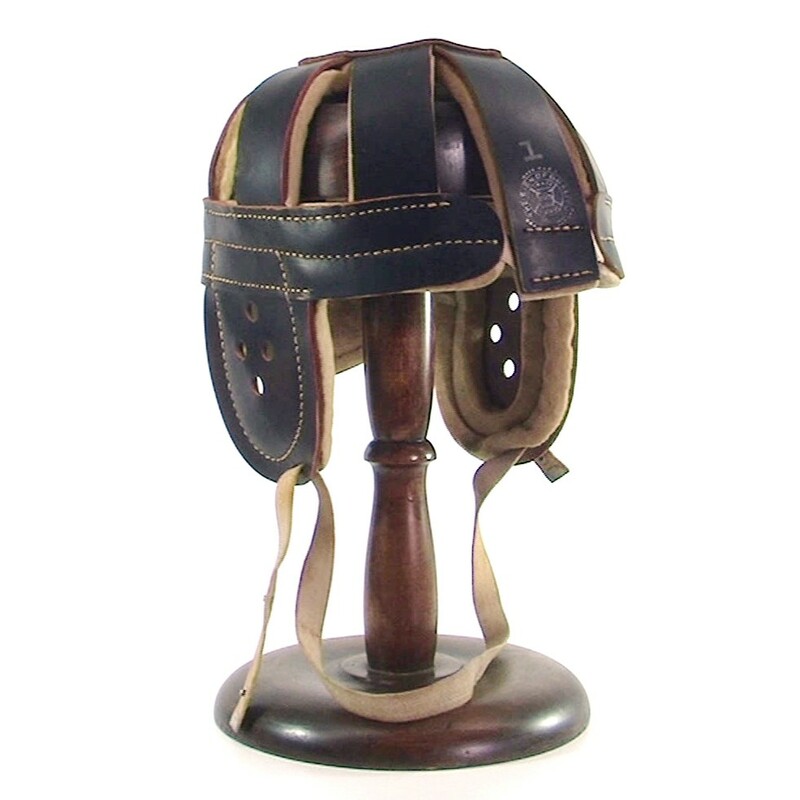 The 8-spoke head harness was a popular helmet model and enjoyed a long production run between 1903 and 1930. However, by 1910, the 8-spoke had been mostly surpassed as a professional model by more protective flattop and raincap harnesses. From 1910 until the mid 1930's, the 8-spoke was primarily sold as entry level equipment. 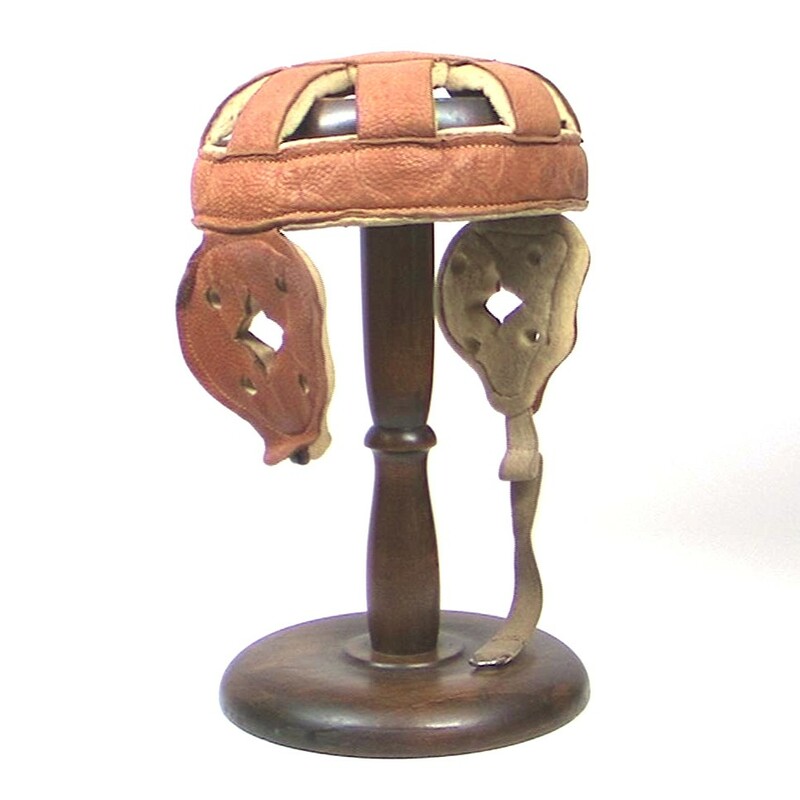 The earliest models of 8-spoke head harnesses can be identified by the lack of a rear neck flap, an additional protective feature that was added to most helmet models by 1905. This particular 115-year old No. 539 example remains in mint condition, with its original Victor logo stamp and model number still visible on the crown. 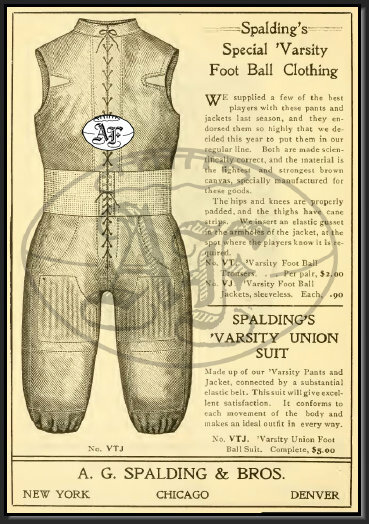 The 1904 Victor Sporting Goods catalog lists two head harness models, the No 540 and the No. 539. Identical in design, the No. 540 was the higher-end model and utilized a better grade leather and heavier felt padding than the No. 539. Evolving from the 4-strap, the 8-spoke head harness was offered by numerous sporting goods companies from 1902 thru 1930. While the 4-strap was originally designed as a harness to support ear pads, the 8-spoke offered increased padding for the head. Pre-1905 models of 8-spoke harnesses typically do not include the extended neck protector in the rear of the helmet. The 2nd Generation 8-spoke is typified by the Reach No. 1 and the lesser expensive No. 4, the most common surviving examples.